If you are the 'Great Dorset Steam Fair' Five Day Show organiser and you would like to update or amend the details shown, please contact us. Thank you. When is the next Great Dorset Steam Fair? Thursday 22nd to Monday 26th August, 2019. Great Dorset Steam Fair is listed under August 2019 Shows. Although we try to keep the information for this event as up to date as possible, we cannot guarantee that things haven't changed at the last minute, and we haven't been informed. Therefore, please contact the 'Great Dorset Steam Fair' event holder directly to confirm all details (especially event name, dates and location) before setting off to Blandford Forum. 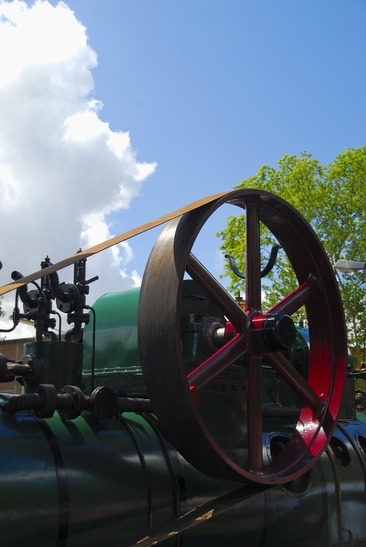 The Great Dorset Steam Fair is planned to take place at Tarrant Hinton, Blandford Forum, Dorset, Thursday 22nd to Monday 26th August, 2019. You may reach the event organisers on 01258 860 361. The Great Dorset Steam Fair is always privileged to welcome a wide range of veteran, vintage and classic cars, particularly exhibiting examples from the dawn of motoring up to the 1960’s/early 1970's. These are brought to Dorset from all over the UK and abroad by their enthusiastic owners. Over 100 cars will be on display this year. There is a daily parade of cars in the main ring that is really popular with visitors. Coupled with the caravans on the site they're sure to bring back happy memories of days gone by. Many makes of car are displayed - here you will see history in motion- a moving picture of the development of car vehicle manufacture in the UK. Walk among them, which you are welcomed to do, as they stand on display between parades, you could easily come face to face with reminders of times past, those memories special to you.